It’s 3:38am and I am wide awake. Its actually scary how NOT sleepy I am. Probably due to the 2 hour nap kiddo and I took this afternoon and the fact that she and I fell asleep at 9:30. I got up around midnight and put her in her own bed and I’ve been awake ever since. I’ve been productive though. Switched out the laundry, picked out my clothes for tomorrow, got my lunch ready, ran the dishwasher, caught up on some Olympics, wrote in ye olde journal, blah blah blah. Am now considering going for a walk with the dog. I’m so strange. But really, I could go for a walk, take a shower, be ready for work by the time kiddo wakes up and we could both get an early start to Monday. Or I could just write about how cool that would be. This week and the rest of the month will be busy with work stuff, some travel stuff, some family stuff. Just lots of stuff. Most of it really good. The weekend was filled with the same. Dinner with friends Friday night. Gymnastics for kiddo Saturday morning. New tattoo for me Saturday afternoon. Lazy Sunday around the house today. A solidly great weekend. The Accountant’s Ip ad (remember when we all made fun of that name and couldn’t believe Apple was going to really call it that? Alas, Steve Jobs knew what he was doing yet again) keeps making this charming dinging sound in the living room. Such a cute little thing, that Ipad. 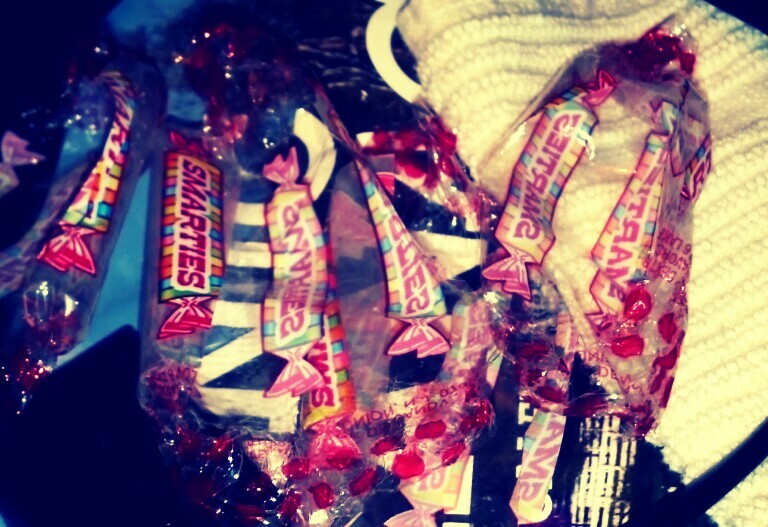 I have got to stop eating these Smarties candies. They are eating my insides up, I can feel it.